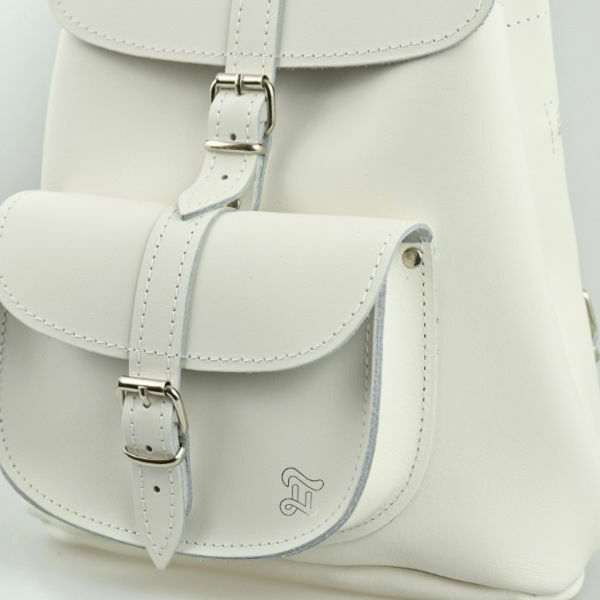 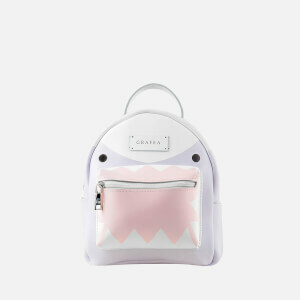 The Grafea 'Angel' Baby Rucksack in white is made in England constructed with 100% leather and has plenty of room inside to hold everything that you need for everyday living. 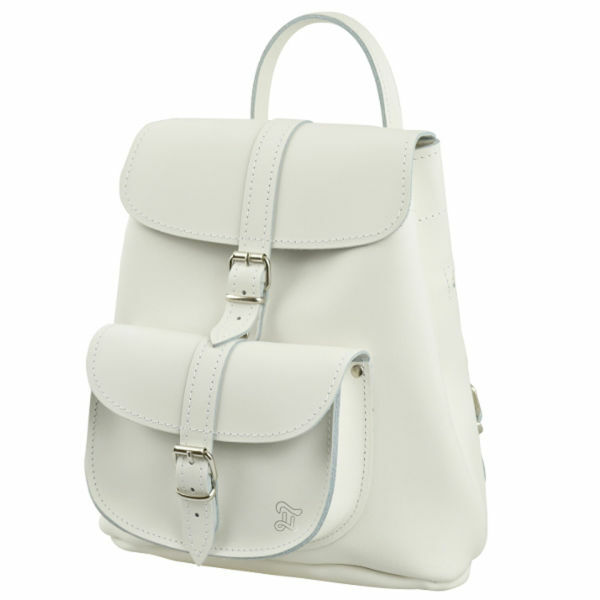 However, if that is not enough the 'Angel' baby rucksack has exterior pockets for additional storage. 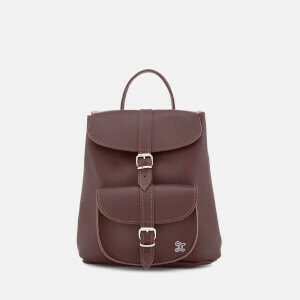 The adjustable shoulder straps mean that this Grafea rucksack is suitable for everyone, but there is also a rolled top handle in case you prefer to carry the bag that way. 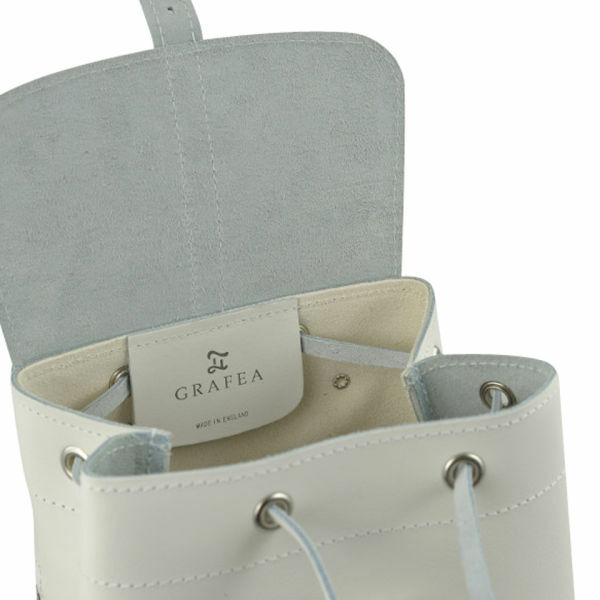 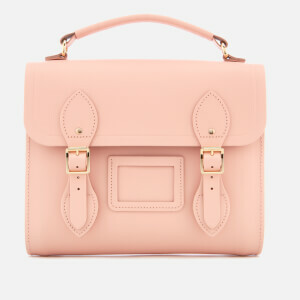 Also featuring silver toned hardware, this bag is stylish as well as practical and great for everyday use.